Samantha Reed’s home (& life in general) is clean, neat, and organized. Her next door neighbors, the Garrett’s, are the complete and total opposite. Naturally, the Garrett family is off limits. Until one night, 17 year old Jase Garrett climbs up Samantha’s trellis and sits next to her on the roof. As Samantha tries to keep her whirlwind relationship a secret from her mother, Senator Reed, a horrible circumstance occurs, sending Samantha’s two worlds colliding, and threatening to tear both of them apart. I’ve read this book so many times; it’s one of my absolute favorites. Samantha is a very relatable girl–not necessarily in her circumstances and situations, but in how she reacts to them. I love her as a character and a narrator. Her and Jase’s relationship is ridiculously sweet, and it just gets better each and every time I read it. Jase is an amazing guy, and I love his personality and his many talents and interests. The rest of the Garrett family (and other supporting characters) all have their very own unique and dynamic personalities, especially Jase’s youngest brother, George. I could go on and on about this book, but I don’t want to give anything away! This book is a must read, and I would recommend it most to those who love YA contemporary novels. Connect with the author! 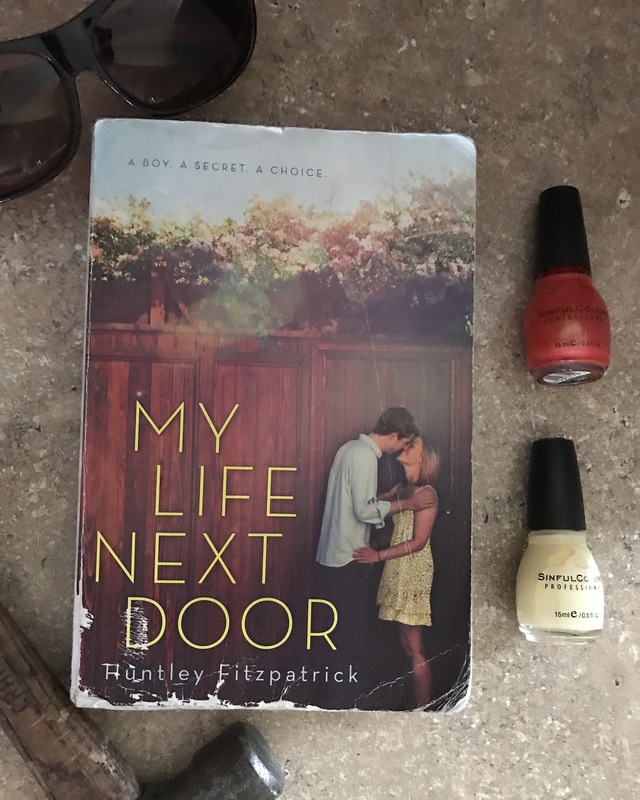 You can follow Huntley Fitzpatrick on twitter at @HuntleyFitz and on Instagram at @huntleyfitzpatrick!